Today is my 31st birthday. 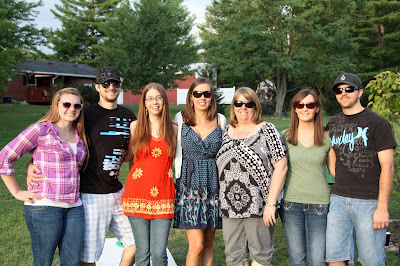 I cannot believe an entire year has passed since I was celebrating my 30th birthday with my family! In an ideal world I would have 30 tasks checked off my list at this point, alas, I prepped for and executed a move across the world over the past few months which left little time for my 30 while 30 goals. I am happy with the 22 goals I did accomplish though. I'm not going to do a 31 while 31, instead I'm working on a very exciting list of goals to accomplish while we're living in California. Hopefully I'll have that completed and ready to share with y'all in a few days. Hi, Jes! I found your blog through Kara @ Ramblings of a Marine Wife.